Voters in the 45th Legislative District should elect Jinyoung Lee Englund to the state Senate to preserve a balance of power between Democratic and Republican control in state government. Listening to some of the inflamed rhetoric in the campaign for the 45th Legislative District Senate race, you might think this race pits Donald Trump against an archetypical Seattle Lefty. In fact, neither is running to represent this Eastside district, which includes Kirkland, Sammamish, Duvall, Redmond and Woodinville. But in making their boogeyman arguments, the two candidates lend credence to the sentiment that this race is about more than them individually. In fact, the outcome could tip power in the now Republican-controlled state Senate, giving the Democrats a lock on state government — ruling both houses and the governor’s mansion. The race is to fill the seat — if not the shoes — of the late Sen. Andy Hill, who died last year. The pragmatic Redmond Republican budget chair’s legacy of fiscal restraint endures in the Legislature through the four-year budget balanced rule adopted in 2012. 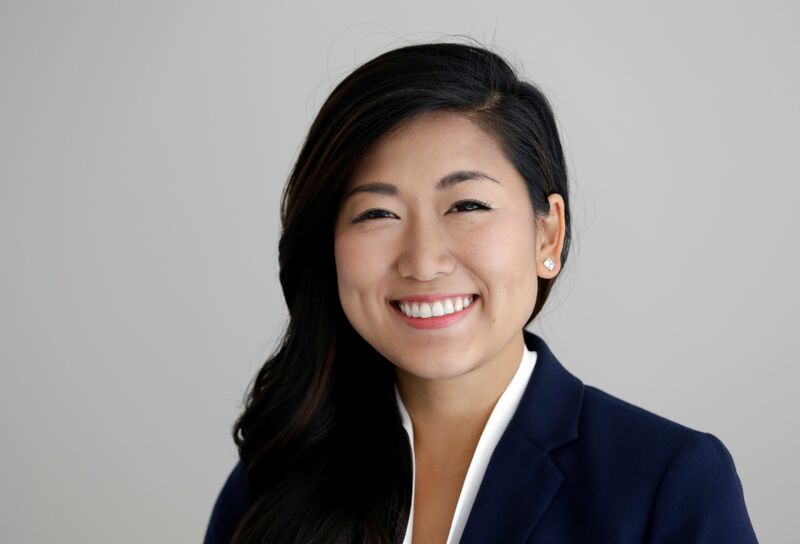 Strengths: Jinyoung Lee Englund is an impressive candidate with experience as a congressional staffer and developing a communications app for the Marine Corps. Republican Jinyoung Lee Englund presses a persuasive case that her election will preserve a ‘balance of government’ that will better serve Washington state." Vying for his seat are Republican Jinyoung Lee Englund and Democrat Manka Dhingra. Both are impressive women of color, representative of the changing demographics of the tech-focused district. Englund, who says she is pro-abortion rights, is no more Donald Trump than Dhingra is a Seattle-style lefty. Dhingra attended her first party meeting less than a year ago. A senior deputy King County prosecutor, Dhingra has a longer list of professional accomplishments, working on issues important to our region and this editorial board, such as crisis-intervention training, mental health and criminal-justice reform. A bit younger, Englund has less but still credible experience, having worked as a staffer for U.S. Rep. Cathy McMorris Rodgers, R-Spokane, and as spokeswoman for the Bitcoin Foundation. Recently, Englund comanaged a team that developed a phone app for the U.S. Marine Corps. Her husband is a Marine. Englund makes a persuasive case that her election will preserve a “balance of government” that will better serve Washington state. For that reason, voters in the 45th should elect her. In 2012, had three Democratic senators not crossed the aisle to join Republicans in wresting control from the Democrats, Washington state would be in much worse shape. Case in point is the four-year budget rule. Requiring the state budget to be balanced over four years limits the ability of free-spending lawmakers to use gimmicks to balance the budget. Make no mistake. That rule will be among the targets of a Democratic majority. As economists predict, the economy will cool. The state has a healthy $2.4 billion in reserves with $1.2 billion in the constitutional rainy-day fund. Such ample savings would have come in handy after the 2008 economic crash. As the state budget convulsed, the state’s Democratic legislative monopoly had to wrestle with having increased state spending by 40 percent over the previous four years. Two of those rogue Democrats from the 2012 coup since have left the Legislature, but the GOP still holds the Senate by the one vote of Democrat Tim Sheldon of Potlatch. Senate Republicans, not under the sway of the powerful state teachers union, also championed and saved the state’s fledgling charter schools, while brave House Democrats who voted not to close them suffered a firestorm of pressure. Senate Republicans also hatched the idea in 2015 not only to freeze college and university tuition, but to actually reduce it by 5 to 20 percent. That came after years of Democratic control that, in some years, allowed colleges to increase tuition while the Legislature clawed back money for the general fund — a tax on students. Senate Republicans also have led on some social issues, including enacting a paid family leave law and pushing to diminish the service waitlist for families with children with developmentally disabilities. Democratic leaders accuse the Republican Senate of being obstructionist, and not allowing votes on important issues. On some points, they are correct. The Senate blocked important action on the Voting Rights Act, climate action and oil-transportation rules, among others. But on the issue of fiscal restraint and education reform, thank goodness the Republican-controlled Senate stood in the way of less responsible spending. As the state has scrambled to address the Supreme Court’s McCleary decision demanding more state money for education, Republicans forced some hard compromises to answer those demands. For these reasons, the 45th Legislative District voters should elect Jinyoung Lee Englund to preserve balanced and fiscally responsible government.